Sony's another creative product has arrived. 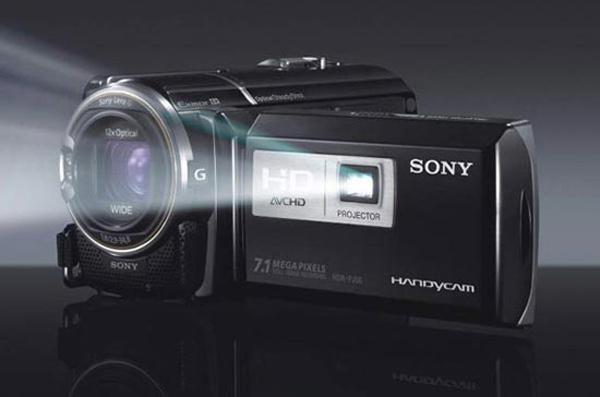 Sony has released HDR-PJ50 Camcoder with built in projector. This is the first camcoder with built in projector. A new revolution in camcoder market. 7.1 Mega pixel with 12x optical zoom. These advanced camera features are rarely seen in camcoder. Sony HDR-PJ50 contains an internal Hard Disk of 220GB capacity. You can record Full HD movies at 1080p using thsi camcoder. It also provides GPRS facility. You can geographically tag your photos and videos. Once recording is done, just project the recorded content. With this newly arrived built in camcoder technology we can expect smart phones with projectors in near future. Read full product review here. Watch how built-in projector works in this camcoder.